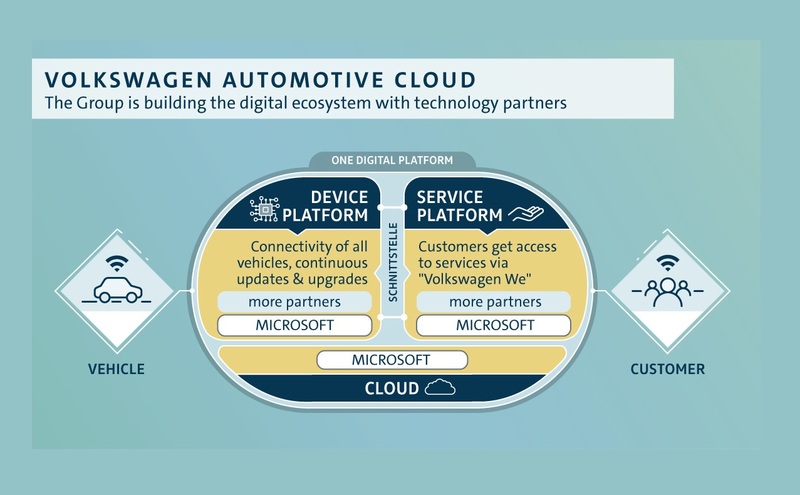 Volkswagen and Microsoft has now inked a strategic partnership which would see both companies work on progressing Volkswagen's Automotive Cloud and connected car services as is aims for transformation into a mobility provider with fully connected vehicle fleets. 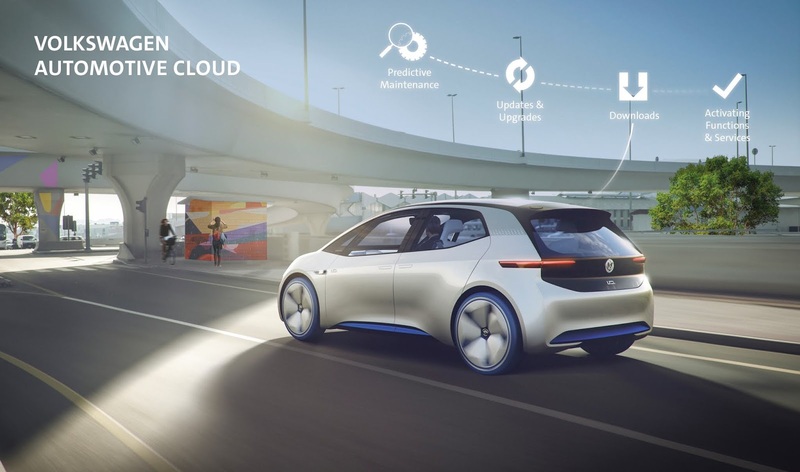 Volkswagen will now be leveraging Microsoft's expertise and learnings to assist in defining what will make its ‘Volkswagen Automotive Cloud’ service peculiar and globally accepted. The auto giant will set up a a new automotive cloud development office in North America which will support initial development of efforts pertaining to this partnership. From 2020 as targeted, Over 5 million new VW vehicles yearly will be fully connected and will be part of the Internet of Things (IoT) in the cloud, This partnership by both companies is aimed at laying the foundation for combination of Microsoft's expertise as a major cloud services provider and Volkswagen's experience as a global high-selling auto manufacturer. 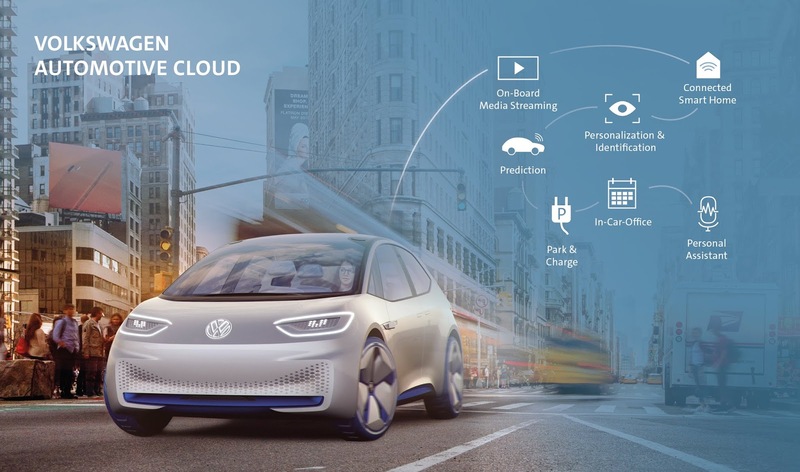 Both firms will together develop the technological basis for a comprehensive industrial automotive cloud with all in-car services for vehicles of the core Volkswagen brand and its Group-wide cloud-based platform of the future set to be stored on Microsoft's Azure service. Microsoft will provide hands-on support to Volkswagen as part of this collaborative efforts expected to involve up to 300 engineers who will work on development of automotive solutions at the new automotive cloud development office to be established in future time. This partnership marks a very notable one as global auto giants take on massive efforts in the mobility and auto-services space with several auto brands outing unique concepts and products focused on the fields of electrification, autonomous driving and mobility services. The partnership for VW will be rolled out to all of its other brands in future time with a foundation set for customer-centric services for its units which include the Volkswagen ID. electric family and as well, conventionally-powered models. Notable concepts and products outed by auto brands in recent times include Daimler's smart forease, Nissan's Dark Sky concept, Renault's EZ-PRO, Hyundai's Fuel Cell electric truck, BMW's Vision iNext, Mercedes' new infotainment system and Nissan's Safety Shield 360 tech.